A smartphone that offers lightning fast downloads, streams high definition media seamlessly at a speed up to 10 times faster than conventional 3G phones without burning a hole in your pocket? 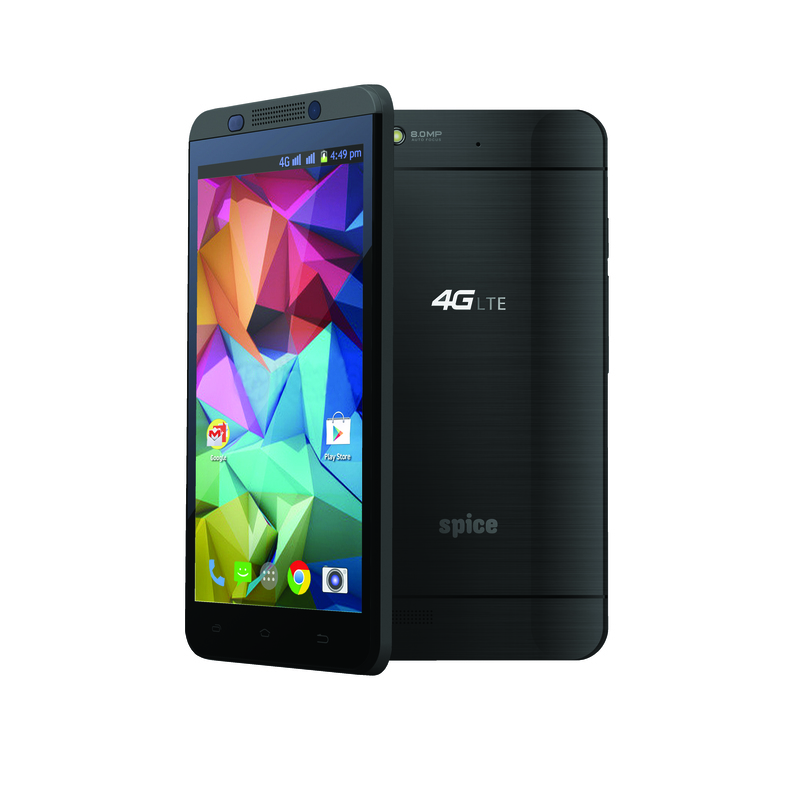 Spice Mobiles, India’s leading mobile devices company today announced the launch of its first 4G LTE smartphone – Stellar 519 at a very attractive price, taking further its brand promise of always offering the latest technology to its consumers at affordable prices. The power packed Stellar 519 smartphone allows users to surf the internet, download files, watch their favorite videos, make video calls with excellent voice quality owing to its latest generation 4G LTE technology. Commenting on the launch, Mr. Prashant Bindal, CEO, Spice Mobility Ltd, said,“We are thrilled to introduce our first 4G LTE smartphone – Stellar 519, which promises to deliver an outstanding and seamless internet browsing experience. The latest generation Stellar 519 is equipped with a 8 mega-pixel rear camera with Autofocus, a front-facing 3.2 MP camera with Face detection, HDR and continuous shots. With an impressive 1.2 GHz Quad-Core Processor combined with a 12.7 cm Screen and a powerful 2500 mAh battery, the phone is a must have for all gamers looking for uninterrupted gaming sessions for all popular high end games. The smartphone is available in two striking colours – Slate Grey and Steel Blue. The phone runs on Kitkat 4.4.4 with enhanced features, improved security and an attractive UI. On the connectivity front, Stellar 519 supports Wi-Fi/ WiFi tethering along with Bluetooth 4.0. The smartphone packs a punch with its other superlative features such as Proximity and Light sensors, Snapdragon Audio+ and Voice+ features while supporting multiple Indian languages.